Fresno's best vetted and insured personal trainers delivered to your home, park, or building gym. Let’s face it, getting in shape can be hard. Our Fresno personal trainers will create a personalized workout plan, show you what to do, and support you every step, stretch and rep of the way. We are committed to your long-term success. 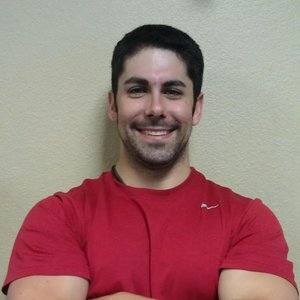 Read bios and reviews of personal trainers in Fresno and pick the perfect one for you. 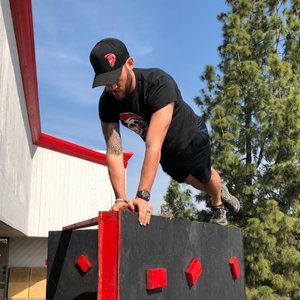 perfect local Fresno trainer for you. Sam is by far one of the best trainers I have had. I’ve tried other trainers at the typical gyms, but all they ever did was put me on a machine and keep count. 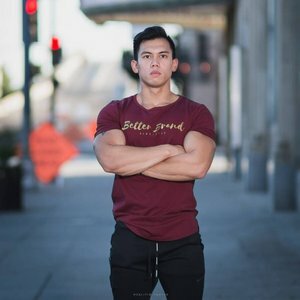 Sam ACTUALLY listens to what you want out of training and what you like doing. For example, I usually like cardio based workouts, so he created a kettlebell workout that got my HR up as much as it would be if I was running! And each session has been a little different which make it more fun for me. I would HIGHLY recommend him to anyone! Thank you Sam!! Over the years, I have signed up for several gym memberships but I ended up paying a monthly fee and never going to exercise after the first one or two times. No one cared if I went to the gym or not so it was easy just to make excuses not to go. When I did go, I wouldn't push myself and would stop exercising as soon as I could. I've always enjoyed hiking. The turning point for me came one day when I went on a hike. I became so exhausted and out of breath that I couldn't complete the hike. That's when I decided to see a personal trainer. After seeing Jimmy consistently for several years, I now have more energy than ever. I can walk up steep hills that I couldn't walk before without stopping numerous times and getting out of breath. My body is more toned than when I was in my twenties. My clothes fit me better. I feel confident about doing the activities I enjoy. I am so happy about my strength and stamina now. Also, Jimmy is very pleasant. He pushes me to get the most out of my exercise sessions without making it seem like work. He varies the routines so I don't get bored. He makes the sessions fun and enjoyable. I highly recommend Jimmy as a personal trainer for anyone wanting to look and feel better. Let me tell you a little about my self. My name is Manuel, Fitness has been a part of my life for as long as I can remember. I pursued to become a Certified Personal Trainer, because I wanted to help as many people as I can. I believe that I can motivate people to live an active life while encouraging them to have a healthy balanced diet. My goal is to empower clients with knowledge, skills, and support to live a healthy life. I started competing in the National Physique Committee; Men’s Physique, and I was very successful. Placing 1st on my first 3 competition, and placings 6th at the National level against the best amateur Men’s Physique Competitors in the whole United States. I love a good challenge, especially if it’s something very difficult that makes you start doubting yourself. I believe the that the only competition you have is with yourself. Once you’re able to defeat all the negative thoughts in your head, the possibilities are endless. I truly believe in the saying “Treat your body like a temple”. It’s the only one we have and we need to respect it. Are you a Fresno trainer?